Progenitor Biologics®, LLC, the manufacturer and distributor of the cutting-edge anti-aging skin care products, DefenAge ® Skincare, is proud to announce the results of a new comprehensive clinical study of the line’s breakthrough ingredient Age-Repair Defensins ®. 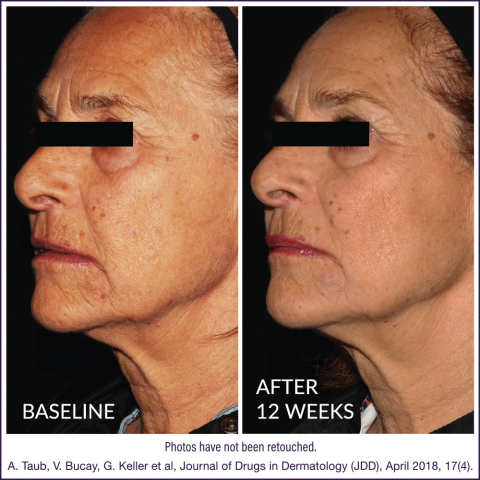 The defensin-based three-step system “globally improves the visual appearance of aging skin without irritation, dryness, or inflammation,” concludes the peer-review article published by the Journal of Drugs in Dermatology (JDD). Target-specific Age-Repair Defensins represents the latest generation of anti-aging technology and is the FIRST of a kind. DefenAge ® Skincare is a technology-driven anti-aging skin care line, primarily distributed through the professional aesthetic market including dermatology and aesthetic surgery practices. The key ingredient, Age-Repair Defensins ®, features a stand-alone natural target-specific mechanism of action. The technology is patent-pending, exclusively available in DefenAge and does not belong to the growth factor category. The Clinical Power Trio is clinical study tested, DefenAge’s core skin care regimen that addresses visible signs of skin aging on a global scale. DefenAge products do not contain: animal- or human- originated ingredients, parabens, formaldehyde-releasing preservatives, sulfates, mineral oils, colorants, phthalates or BPA. The products are available at www.DefenAge.com .